Is fundamentally modern British. Using some modern cooking techniques (and old ones) we bring food to you that excites, satisfies and leaves you feeling happy. 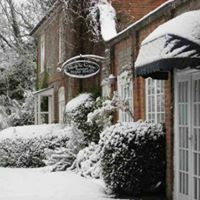 As a small family run restaurant, we deliver a warm and relaxed atmosphere whilst you dine. 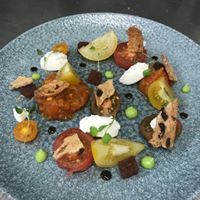 You’ll dine in a style that takes you back in time whilst enjoying modern cuisine which really creates that ‘retro’ feel. It doesn’t stop there.. We’re in the ever growing process of evolving our wine list to bring you the very best wines to match our food from the moment you arrive till the last drop of Muscadet you sip after your dessert. A very good meal, all cooked very well. Really good food. It's the 3rd time we have visited and we will be back more often. Absolutely amazing experience. Really pleased with everything and will definitely be telling all of my friends about it. A great place to eat with really good food and lovely people running it. Truly delicious food that looks like artwork on a plate. Great atmosphere and really attentive staff. We had a lovely evening and look forward to returning soon! Very relaxed atmosphere. Great service and lovely food. Perhaps one or two more scallops in the starter maybe? What a fab little restaurant, staff were friendly and welcoming. All tables were booked but the service wasn’t rushed . Good food and value for money with a great wine list for a small restaurant . We’re really happy we found The Nook and have already been singing it’s praises to friends and family! My only constructive criticism would be some dimmable lighting and/ or lamps and perhaps tablecloths for evening service just to give it that something extra . Will definitely be returning . Very enjoyable evening meal which was enjoyed by everyone on my table of four. Two of us finished with Cheese, and we all considered that at £9 the selection was somewhat meagre. A great evening. Fantastic food. Friendly staff will definitely book again. 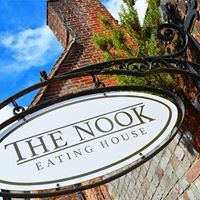 We visited The Nook for Sunday lunch and were very impressed with the delicious super fresh food. The whole experience was a delight, we enjoyed the ambiance of the restaurant and the service was also faultless. Will definitely visit again soon. Fantastic food and service as always. We shall be back soon ! Great food, great atmosphere, great evening! 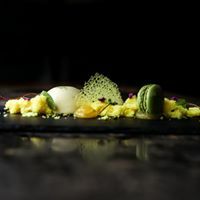 We ate at the Nook on the 13.02.19 and it was absolutely amazing! We can not recommend this restaurant highly enough. Amazing food! Could do with having more vegetarian options & especially a vegetarian roast. We had a brilliant Christmas Day meal. The food and service were impeccable. We would recommend this fabulous place to all our friends and relatives. Food was delicious, service was great. The only thing we would recommend is to have more heating inside. It felt a bit chilly. Many thanks. Lovely restaurant I would highly recommend. Just what is needed in Fareham. Everything was absolutely gorgeous and the set lunch menu was very reasonably priced for the quality of the food.